A "citizens' initiative referendum" (RIC) is one in the list of demands released in late November by the yellow vests movement. In accordance with the 42-item list, any policy proposal gathering 700,000 signatures should be considered in a referendum. On 17 December, Prime Minister Edouard Philippe announced that there is a debate on holding the RIC, endorsing the initiative and admitting that the French government "made mistakes". In his article "Gilets Jaunes Referendum by Initiative of Citizens (RIC): Push to Revive a Democracy", Mercier argues that yellow vests protesters "understand that the current democratic process is a farce, and that democracy itself has become an illusion". "France's new Sans-Culottes will not be satisfied any longer with crumbs, or even loaves of bread: instead they want control of the bakery. 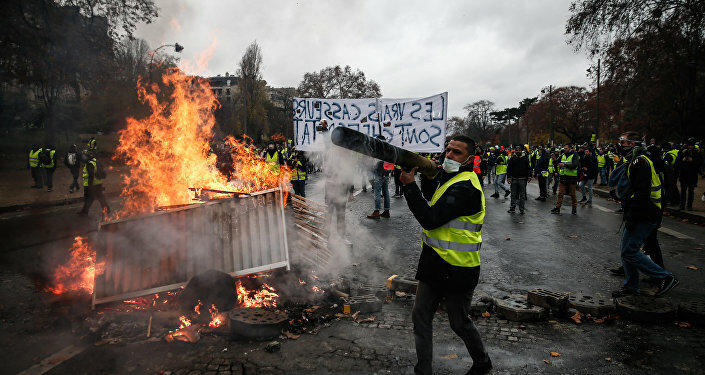 The Gilets Jaunes want more than money, food and stuff, they demand respect, dignity, and attention," the journalist wrote. Speaking to Sputnik, Mercier highlighted that the Gilets Jaunes protests exposed the decades-long problem that affects not only France: "It's a global systemic problem of capitalist development which affects even China and Russia since the fall of the USSR". 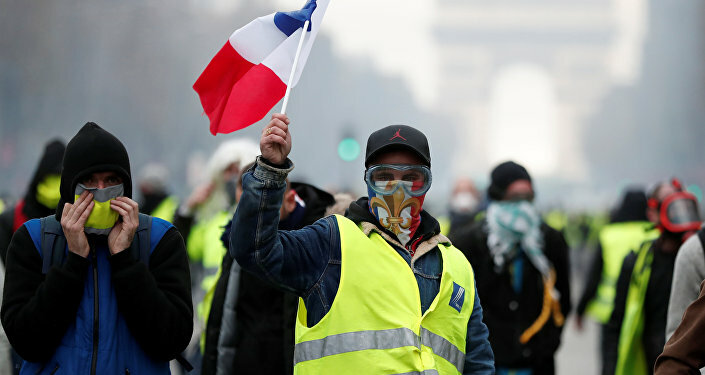 "In brief, the Gilets Jaunes movement is, in essence, an anti-capitalist movement which does not use Marxist lingo or ideology, but a lot of ideas concerning what Marx called 'the class struggle'," he said. 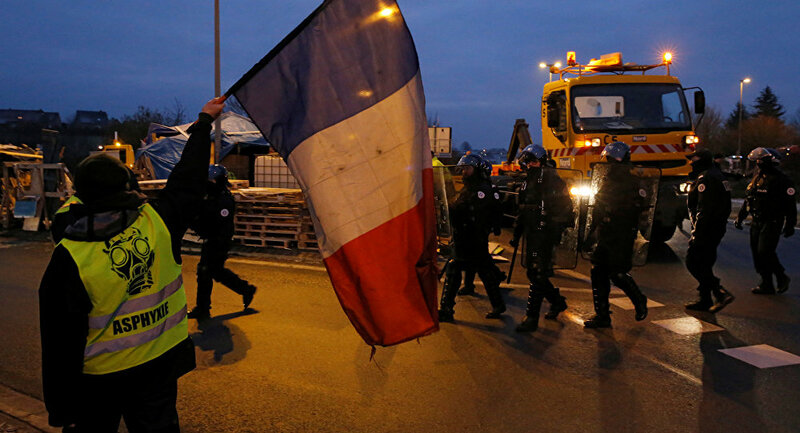 Commenting on the ongoing rise of conservative forces in Europe, the journalist highlighted that the yellow vests uprising has nothing to do with the promotion of the right-wing political agenda in the EU. Likewise, yellow vests are not close to the French Right and Marine Le Pen's National Rally (RN), he added. "The Gilets Jaunes movement is a lot closer to the French Insoumise of Jean-Luc Melenchon than to the RN of Le Pen," the journalist pointed out. In his op-ed, Mercier suggested that the yellow vests movement "could mark the end of an era and the beginning of a French sixth Republic, where the excessive power in the executive branch is diminished". "The Gilets Jaunes are calling for four types of RIC," Mercier elaborated. "Firstly, the ability for any French citizen registered voter to propose a law; secondly, the right to propose the abrogation of any legislation; thirdly, the ability for any citizen to petition for the destitution of any elected official; and finally the right to call for an amendment to the constitution". This type of direct democracy is nothing new for Europe — it has been used in Switzerland, Italy and Great Britain. "Direct democracy in France is a thrilling proposition, provided that it is not motivated by meanness, anger, racism or is secretly financed by various entities," the journalist underscored.